Hitman 2 was one of 2018’s best games, and surely a worthy successor to the stealth marvel that Hitman 2016 was. The game had a plethora of interesting locations to explore, ranging from sunny Miami (where protagonist Agent 47 had to murder a CEO and his daughter during a Formula One event) to the jungle town of Santa Fortuna in Colombia, where bald antihero Agent 47 dealt justice to a trio of Cartel members. 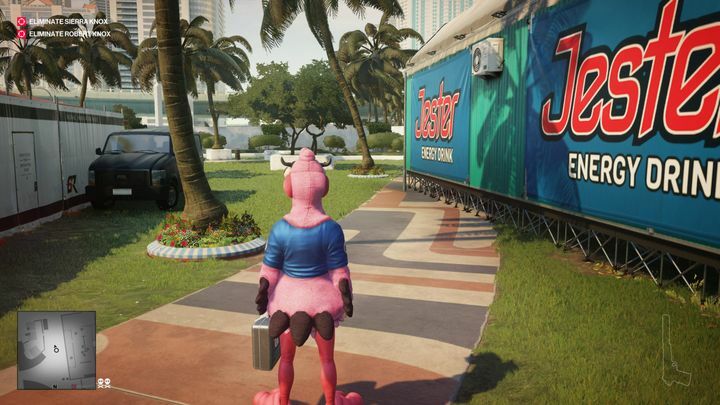 The game had other colourful locations such as a posh US town and Mumbai, meaning players got to travel through a variety of international settings in developer IO Interactive’s latest murder sim. Aside from the main missions, Hitman 2 also had extra content like a multiplayer mode (Ghost mode) and a mission which only involved the use of a sniper rifle which was set in Austria. However, Danish game makers IO Interactive recently revealed that quite a bit more content is coming to the game this year, in the form of new locations, missions and other content. What’s likely to be of most interest to players are the new locations. These include a bank (which could be the setting of another major mission like the ones seen in the main game), a prison and a tourist resort. The latter location, though, is only available to those who bought the Gold edition of the game, or to those who have purchased Hitman 2’s Expansion Pass. The prison location will be the setting of another sniper mission (like “The Last Yardbird” mission which shipped with the main game) as seen in IO’s schedule below. 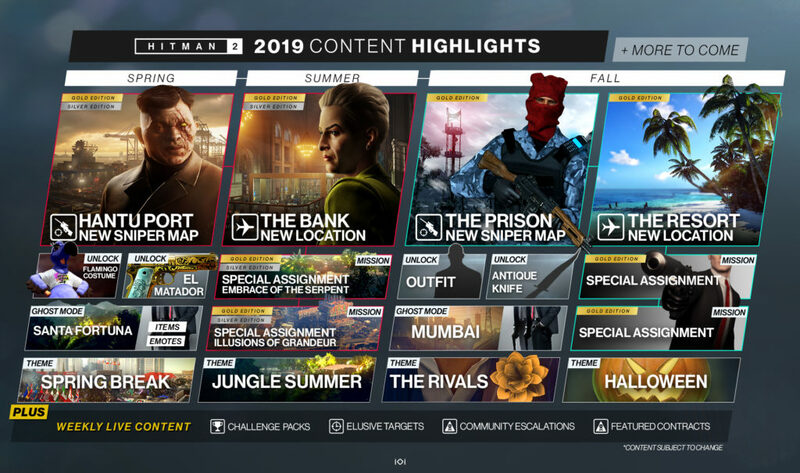 Plus, those who grew fond of Hitman 2’s locations such as Colombia or Mumbai can look forward to new missions set in these locations this year too, more information about which will be coming in a live stream on April 29 as IO explains on its website. Additionally, new costumes, weapons and themes, plus other content (such as more Elusive Targets) will be coming to the game in 2019. And given that Hitman 2 was such a worthy follow-up to its predecessor as we pointed out in our review, its surely a good thing that the game is getting more content this year, so here’s hoping that the new missions and locations are a match for what was offered in the main game when they are released later this year.